As a leader in the American Dance Industry for the past 20 years, Rainbow National Dance Competition is thrilled to begin a new and exciting journey in Australia! This season we will visit 5 cities, including, Perth, Adelaide, Melbourne, Canberra & Sydney. With our exceptional events and impeccable service, we are looking forward to welcoming you to the Rainbow family! When it comes to competitions, we understand there are many to choose from and here at Rainbow we are committed to providing our competition competitors with the best experience possible! We take pride in offering an elite panel of judges who are committed to sharing their extensive knowledge, professional production values, digital online critiques, an enthusiastic and caring staff, and additional opportunities through scholarships, auditions, and exclusive performance opportunities that reach far beyond the competition weekend. Rainbow in the USA has been called "the competition with a heart" for a good reason. Rainbow has never lost sight of the fact that its success is owed to the hard working teachers and studio owners that appreciate a fair, fun, organized, and on-time competition. From its low-stress environment, unique awards, online registration, and state of the art judging and scoring, we strive to achieve the same recognition within Australia by providing teachers and dancers across the country with this same quality. Rainbow aspires to deliver a quality event to dancers, directors, teachers and parents alike. Our unique awards offer much more than just a placement score. Each year, several Rainbow contestants are selected as “All Star Dancers” and receive an invitation to attend the New York City Dance Experience and the Hollywood Dance Invitational. All Solos, Duets/Trios, Groups and Lines that average 12 years of age and over are eligible for this award. These special invitations are given to “All Star Dancers” that display a passion for performing in front of an audience. Winners will receive an informational brochure with details of “The New York City Dance Experience” and the “Hollywood Dance Invitational”. Also, NEW in 2018 we’re introducing a new special level at Rainbow for Special Needs Dancers. 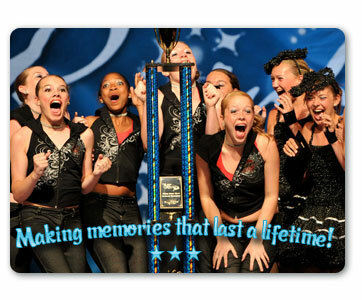 SOARING STARS – The Soaring Stars Division is a very special program for Special Needs Dancers. We invite any studios with Special Needs students of any sort to allow them to share our stage, free of charge. We know from personal experience that these dancers share the joy of dance as passionately as anyone can, and we are honored to allow them to share that passion with us. We are thankful to be able to offer a memorable performance opportunity for dancers to showcase their talent and accomplishments in front of industry leaders and their loved ones. Rainbow prides itself on creating an ambiance where studio owners, teachers, students and parents thrive. Nurturing our youth in the competitive field of dance takes effective communication, organization, and a supportive atmosphere. Rainbow has a reputation of creating that positive environment for dancers of all levels. We look forward to seeing you in 2019 so we may be a part of YOUR dancer's personal journey towards greatness!